!! OMG, Dominos Pizza fixes America’s roads with PAVING FOR PEETZAAAA !! 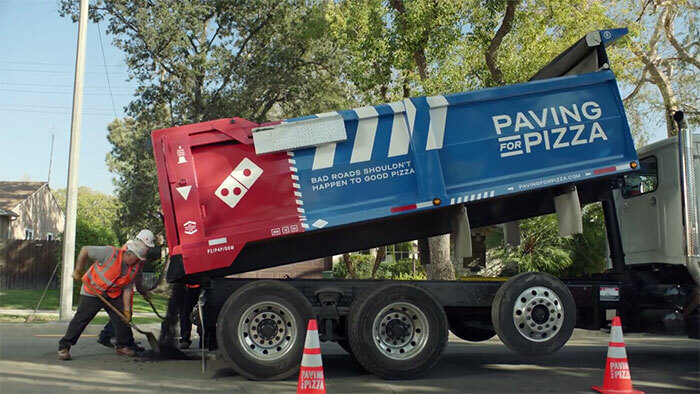 Dominos Pizza may be known for clogging out artery ways with gooey mozzarella cheese and bread sticks, but few people know they are also a thoughtful company who wants to make Amurricas disasterous roadways a safer place to be by clogging the potholes out there with cement! 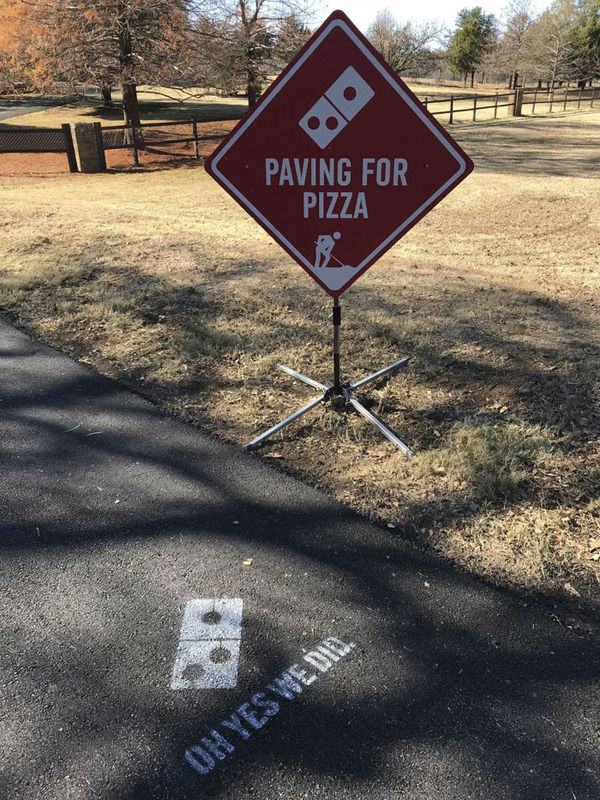 ‘Paving For Pizza’ helps to pave roads in towns across the USA, so everyone could drive home with their pizzas safe! 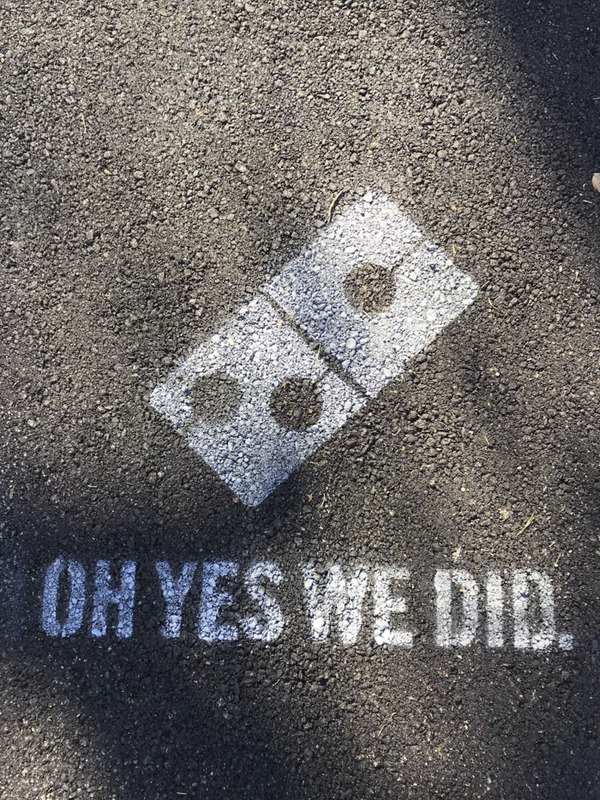 Check out more photos of how it all went down after the jump! 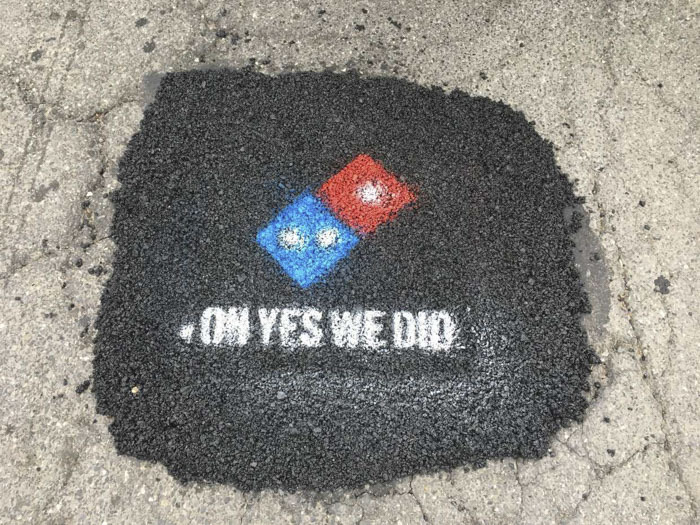 3 Comments on "OMG, Dominos Pizza fixes America’s roads with PAVING FOR PEETZAAAA"
I’ve been boycotting them for decades! Doesn’t make up for being anti-queer, anti-women, entitled, cis/het christianist jerks.